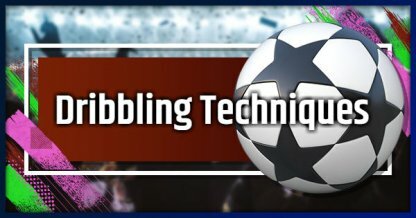 Check out the many different Dribbling Techniques to get better in FIFA 19! Brush up your skills by learning how to do Dribble Techniques, and get past defenders through this guide! Dribble moves are an important part of the offense. With dribble moves, you can control the ball better and change your pace or speed to match how you want to play the game! Below are some dribble moves that can help you in FIFA 19. Use this to shield the ball away from a defender. This will make it harder for them to tackle the ball away from you! High and Low Speed Dribbles will let you change your pace. This will come in handy when going against defenders. Surprise them by changing your dribble speeds and make them defend you at your terms! Use the Slow Dribble around the opponent's goal area when the enemy is more frantic trying to get back possession of the ball! Use this to change your dribble pace from time to time. Control the speed of the game, and keep defenders guessing by switching from low speed dribbling to high speed dribbling and vice-versa! Face Up Dribbling will give you the most control of the ball while facing the goal. You can use this to help quickly get off a shot when an opening presents itself! Use the Drag Back to quickly switch to opposite directions when there is no open space for you to move into. This is faster than manually turning around! WARNING:Zig Zag Dribbling can only be done by players who have an 80 or more dribble rating. Use Zig Zag Dribbling to scout open areas that the opponent may leave for you to move into. You can then change your pace to get into that area quickly to pass or score!